Corpor@te Facilities Services Ltd are delighted to have been awarded the cleaning and maintenance support contract for The Eastgate Shopping Centre, Gloucester. 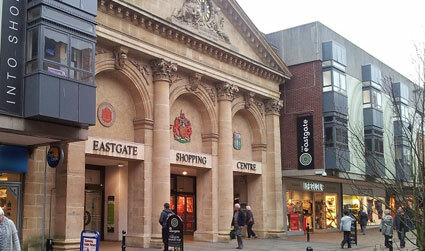 The Eastgate Shopping Centre is located in the heart of Gloucester town centre, housing over 40 shops such as H&M, M&S, Game and many other well know high street brands. As part of the contract award, Corpor@te Facilities Services will be reviewing all of the procedures currently in place to increase maximum output within the core contract hours by amending/adjusting rotas, investing in technology and improving the management support to the contract. Corpor@te Facilities Services would like to take this opportunity to welcome The Eastgate team to the company.